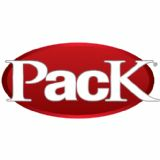 One of North America's leading industry event names, Pack will connect engineers, executives, and other industry professionals with the latest in digital printing, flexible packaging, adhesives, print and apply labelers, package design, food packaging, automation, robotics, bags, bottles, and pouches - all in one dedicated zone on the ADM Cleveland floor. Connect with other packaging professionals and leading suppliers from across the industry. Whatever your focus, Pack gives you a single destination to discover everything you need to take projects to market, faster and cheaper.